Kishore is responsible for strategic business planing, day to day business operations and technical direction. He brings in the expertise of more than a decade of engineering and product management. His direct work with worldwide customers from 2006 helped them to bring their innovative products to market and reduce time-to-market. He managed and implemented large multi-component projects from concepts to delivery and many of those products are already in the field. Under his management AMI has delivered efficient innovative solutions in audio segments like Automotive, Consumer, Professional and Speaker Processing. His technical directions kept the AMI at good strategic place where single design house can address solutions for wide range of DSP Processors, Micro Controllers and Application Processors. Prior to found AMI Technologies, Kishore was a Project Lead with Analog Devices, worked on numerous audio projects including creating turn key demos and defining and developing customized embedded software for key customers. He is the one of the key contributor of award winning Tool Visual Audio from ADI. His experience includes hands on different Audio industrial standards. Anil manages day to day engineering operations and customer deliverables. 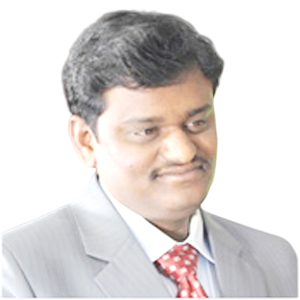 He has unique experience of more than 15 years, brings the key aspects of Embedded and DSP processing technology. Before joining AMI he worked initially with Analog Devices Inc. Wireless Business Unit then later in Mediatek Inc. 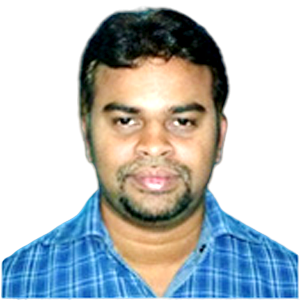 He was one of the key person for Video and Speech modules development on latest key products like smart phone platforms etc. There are lot of products currently in the market which has his direct contributions. By having expertise in all phases of the product lifecycle from architecture work, software development, testing and direct lead customer support, his assignments were truly global, which taken him from India to US then UK and Europe and most recently Taiwan. He has a MS degree in Software Systems from BITS, Pilani and B.Tech in Electronics and Communications from JNTU, Hyderabad. He got Best Awards for some of the published Papers and Demos on latest technologies in Global Technical Conferences of ADI and Mediatek.